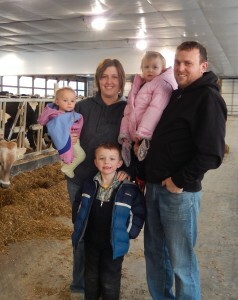 A good indication that Lance and Jonna Schutte, owners of Jo-Lane Dairy in Monona, Iowa, are looking to the future is that each of their three children (aged five and under) already have their own registered dairy cow. “All bloodlines trace back to my parents’ farm. They started the tradition that each grandchild receives a heifer. The heifer born closest to the grandchild’s day of birth is the one they get,” Jonna said. Bloodlines and genetics are extremely important to the Schutte Family, as they manage a head of approximately 135 milking cows. The herd has grown from Lance’s father’s original operation, which Lance and Jonna bought in 2009. “I moved here when I was eight, and have been farming here ever since,” Lance said. A few years after the young couple began managing the dairy, they realized the potential of their herd and wanted to maximize it to increase milk production. “At that time, it was pretty much Lance, his father and I doing all of the milking and farm work. We wanted to milk three times a day in our tie-stall barn, but couldn’t find anyone who would work,” Jonna explained. To reach their production goals, and goal of being more efficient in every aspect of their operation, the Schutte Family turned to robotic milking. “We went to five robotic farms to get ideas for a barn layout. 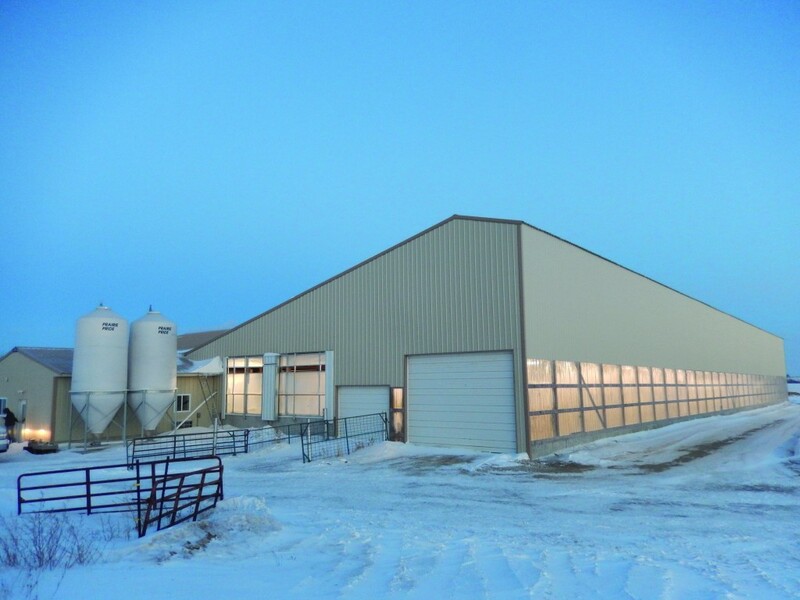 We didn’t have a way to lock up and breed heifers in the old barn, so that was one addition that we decided to include in the new robot barn,” Lance said. The couple decided on a tunnel ventilated barn with two pens for easy separation of “breeding heifers” and special needs cows from the rest of the herd. Their two Lely Astronaut A4 robots are also housed separately to provide sorting gates between the robots, so if something is detected by the T4C (Time for Cows) software, the Schuttes have the option to easily sort cows to receive immediate attention. “The tunnel ventilated layout has kept the barn warm in the winter and very comfortable in the summer; we haven’t experienced any problems with the robots due to the cold, even with the extreme temperatures this winter,” Lance explained. Labor efficiency? “Now Lance can physically milk and manage 110 cows on his own in the robot barn, and is still able to help me milk about 25 cows in the tie-stall barn,” Jonna said. This assist with labor has proven to be extremely helpful during the summer months when the Schutte Family is busy with the hay and corn crops.